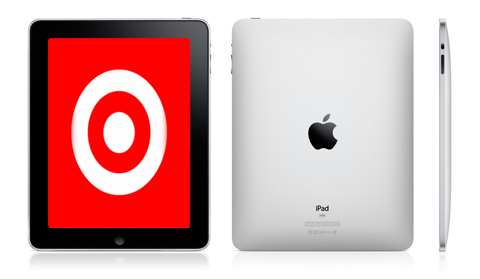 Retail store Target has announced today they will be selling Apple’s iPad. Target will be carrying all makes and models of the iPad at the exact same price as Apple sells the device in their retail stores. So why in the world would Target want to sell the iPad at the same price as Apple, at seemingly no profit to Target? Because the iPad will dramatically increase foot traffic through the Target stores, and in turn, Target will sell more items throughout the store. Target become the second non-Apple retail store to sell the iPad in the United States – Best Buy is the first.